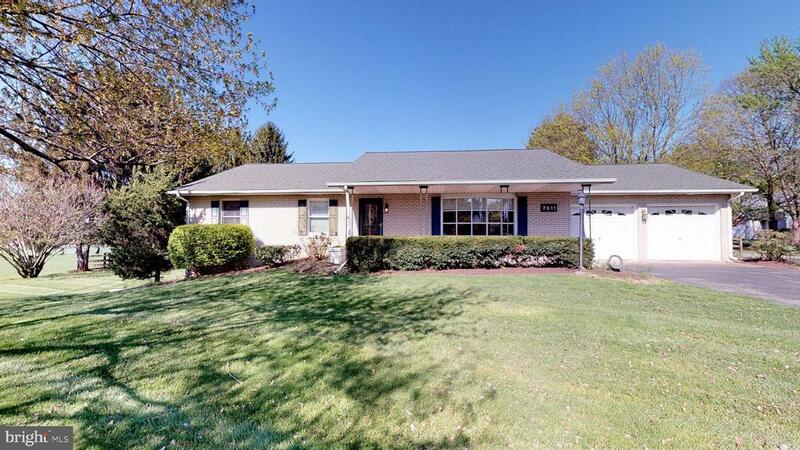 All Brick Rancher situated on a semi-private 1 acre fenced lot bordered by mature landscaping on one side, a private cul-de-sac on the other and backing to large public school recreational fields. Basically a total remodel from 2012 on! The main level includes a beautiful updated Eat-in Kitchen with tons of Cabinets, Granite Countertops, High-End Stainless Steel appliances plus a true Wood Burning Fireplace. The spacious Living Room has a wall of built-ins and gleaming new Hardwood Floors plus 3 huge Main Level Bedrooms, 2 Full Baths, Main Level Laundry and a Sunlit Sunroom with Brand New Windows. The endless list of updates continues including Updated Bathrooms, Plumbing & Electric have been replaced, Newer 50 Year Roof, High End 19 Seer HVAC system in addition to individual room thermostat control heaters, heavily insulated attic and additional basement insulation. Huge Lower Level basement ready to be finished with Walk Out to Brick Paver Patio. 2 car garage. Per City of Frederick property is zoned R-8 which could potentially allow up to 8 units per acre with improvements and site plan approval ~ contact Planning & Zoning for additional questions. 1 Year Home Warranty!